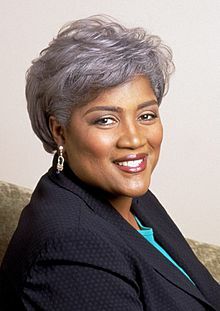 Veteran Democratic strategist and New Orleans native Donna Brazile is the featured speaker for the Institute of Politics at Loyola University New Orleans March 5 at 7 p.m. The CNN and ABC political commentator and vice chair for voter registration and participation at the Democratic National Convention will offer a behind-the-scenes look at the top political issues of the day in “Stirring the Political Pot with CNN’s Donna Brazile.” The event is free and open to the public. The Institute of Politics' fourth annual Ed Renwick Lecture Series will be held in the Louis J. Roussel Performance Hall, located on the second floor of the Communications/Music Complex on Loyola’s main campus. A dessert reception will immediately follow Brazile’s talk. Brazile has worked on every presidential campaign from 1976 through 2000. She became the first African-American to manage a presidential race when she led Al Gore’s run in 2000. She is the former interim chair of the Democratic National Committee as well as former chair of its Voting Rights Institute. To Brazile, talking about politics comes as naturally as stirring a pot of seafood gumbo. Her best-selling book, “Cooking with Grease: Stirring the Pots in American Politics,” tells of her entrée into politics. As a 9-year-old, she campaigned successfully for a New Orleans city council candidate who promised a playground in her neighborhood. After Martin Luther King Jr. was assassinated, she committed herself to political and social activism.